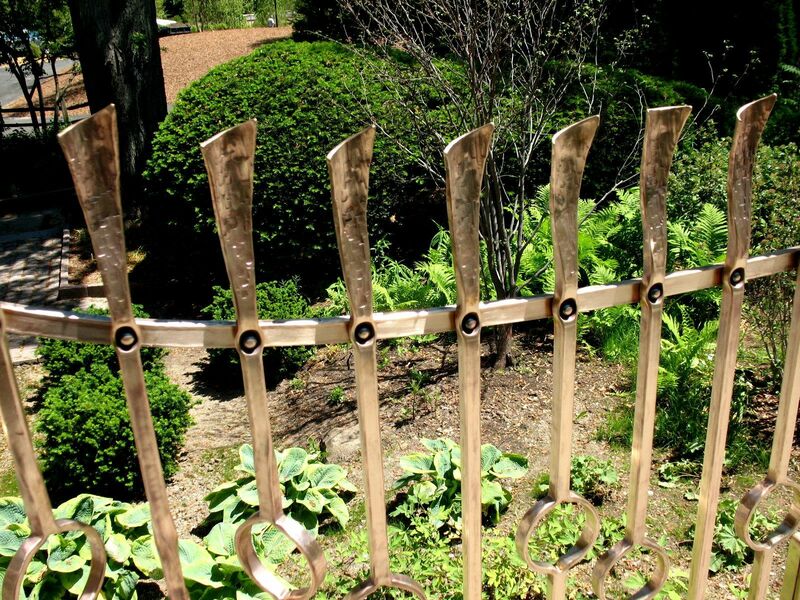 Currently, I am forging a bronze railing for the “Lynden Sculpture Garden” in Milwaukee, WI. 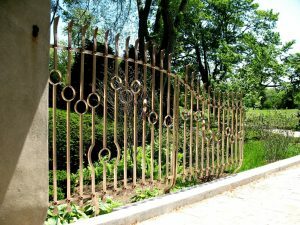 The garden was formerly named the “Bradley Sculpture Garden”. It is owned by the Bradley Family Foundation, and is now opened daily to the public as of May 30th of this year. 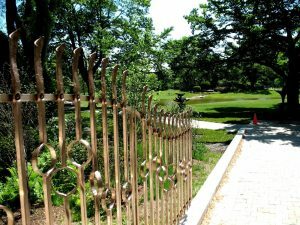 The garden is on the former estate of Harry and Peg Bradley, located at 2145 W. Brown Deer Rd. The collection includes roughly 50 pieces collected by Peg Bradley from 1962 to 1978. The 40 acres of park-like splendor, coupled with the fine sculptures, have earned Lynden a world class reputation. Shown in these images are two of a total of five sections that I am making. I needed to install two sections before the grand opening, as there is a significant drop on the opposing side. The design concept came from Bradley Foundation CEO David Uihlein, who wished the railing to have rings appearing as they were tumbling away from the building. 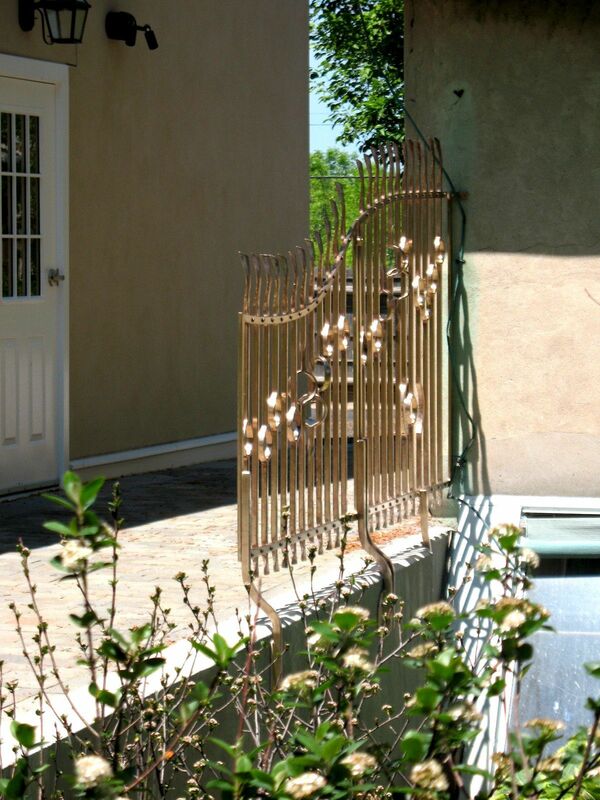 To add the visual motion, I twisted the balusters so some of the rings appear as if they are spinning in the breeze. The balusters are made from 3/4″ square silicon bronze. Each of them has been hot-split and forged to achieve the rings. 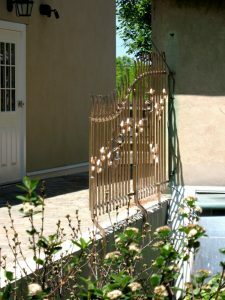 The only aspect of this railing that was not forged are the frame corners, which were TIG welded, sanded and buffed. Even the rivets are forged. The baluster finials were initially forged under a power hammer to achieve a basic shape. Much more work was needed as they were then cross-peened by the hand-hammer, and then hot cut to the final shape, then dished out in a swedge block. The socket for the rivets was applied by using a ball-like top tool used under the power hammer. 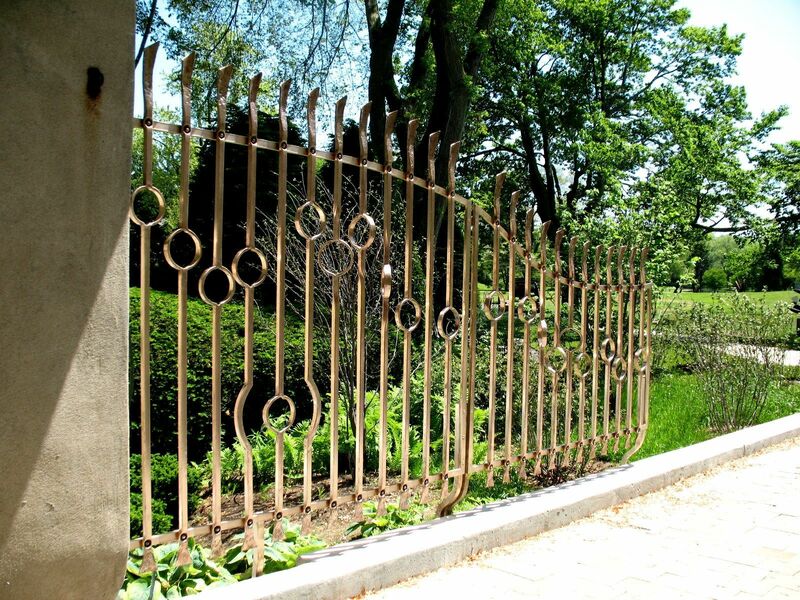 For those of you who are contemplating forging bronze, it is a gorgeous material, however care must be taken when forging it, as anything over a high red heat will either melt the bronze, or cause it to shatter when struck at too hot a temperature. Even more care is needed when grinding, and polishing, as the particulates will make you severely ill. A dust mask is absolutely a must when doing so. Once I complete the railing, I will provide images of the final installation on this blog.